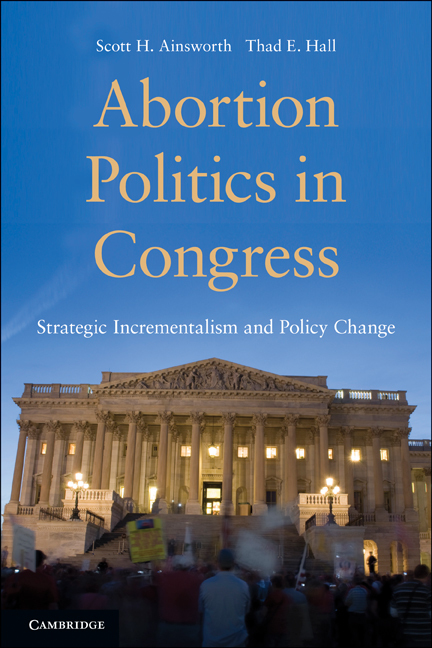 Scott H. Ainsworth is a co-author of Abortion Politics in Congress (2011). Ainsworth is an Associate Professor of Political Science in the School of Public and International Affairs at the University of Georgia. His work on lobbying, interest groups and the U.S. Congress has appeared in numerous outlets, including the American Journal of Political Science, the Journal of Politics and Legislative Studies Quarterly.